Mitel is at it again! On July 27, Mitel announced it was purchasing ShoreTel in an all cash transaction. This follows the announcement on May 11th that Mitel signed a Memorandum of Understanding to transfer assets and support obligations, including existing inventory, from Toshiba. Mitel is based in Canada (Ottawa) and has annual revenues of about $850 million. The premise PBX market continues to shrink and as the Cloud telephony business ramps up, there was not enough runway for the likes of Shoretel and Toshiba to make the transition. 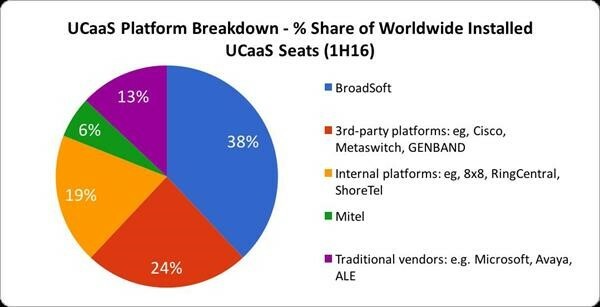 Combining the two companies catapults Mitel to number two in the Unified Communications as a Service (UCaaS) market, according to the company. With the stroke of a pen, Mitel now has almost doubled its UCaaS revenue to $263 million, and there will be other efficiencies achieved by combining the two companies with similar markets. “This is a very natural combination that enables us to continue to consolidate the industry and take advantage of cost synergy opportunities while adding new technologies and significant cloud growth to our business,” Mitel CEO Rich McBee said in a statement. $1.3 Bil in Revenue: The combined companies will have approximately $1.3 Billion in annual revenue. In addition when combined will have 3200 channel partners and 4200 employees worldwide. The deal is still subject to regulatory and shareholder review before it can close. In blog #34 (March ’17) we posted that Toshiba was shutting down its Telecom division headquartered in Irvine CA. At the time of the announcement it was a pure shut down… Toshiba did not try to sell their Telecommunications division but simply decided to shut it down. The premise PBX market continues to shrink and as the Cloud telephony business ramps up, there was not enough runway for Toshiba to make the transition. Toshiba sales have been declining for some time and the company has become far less visible and innovative than many of its competitors. Toshiba made an excellent PBX that competed with small business systems from the likes of Panasonic, Mitel, and NEC. Toshiba had been losing some of its pull in the industry, it was still a shocking decision considering that the company has about a 3% market share in the U.S.
Fast forward to May ’17 and we learn that Mitel is picking up the parts from the Toshiba telecommunications business. A little about Mitel: They are based in Canada (Ottawa) and have annual revenues of about $850 million. On May 3rd Mitel announced Q1 financial results for the quarter ended March 31, 2017. Mitel announced they too are taking proactive cost reduction actions to align its operating expenses with its current business needs. This includes a workforce reduction of approximately 10% expected to be completed between now and the end of the year. Working with a large service provider, Mitel is transitioning 10,000 employees of a second large European-based auto manufacturer from premise to a cloud-based Unified Communications solution. A Midwestern US-based furniture retailer with more than 65 locations and an on-line presence selected MiCloud Enterprise and MiCloud Contact Center to connect all locations, centralize answering, and manage their advanced contact center needs including callback in queue and multi-media requirements. The system is all hosted by Mitel. Mitel, on Thursday May 11th signed a Memorandum of Understanding to transfer assets and support obligations, including existing inventory, from Toshiba to Mitel. The agreement also includes a transition of product and services agreements from Toshiba customers to Mitel. Mitel expects to close on the Toshiba deal this summer. Besides transferring their existing inventory, Mitel will also be transferring all of their service and maintenance contracts to Mitel, so that Toshiba customers continue to have support as they move forward. Mitel made its last acquisition in 2015 with the purchase of cloud-based UC provider Mavenir. The vendor made a bid to buy Polycom last year, although the deal fell through. Verizon Enterprise Solutions on Tuesday (5/2) said it had reached a deal for IBM to buy its cloud and managed hosting services. No value of the sales price was indicated. Verizon says it will still sell services to “securely and reliably connect to their cloud resources” – this is presumably Verizon carrier and transport security services which will allow customers to “connect” to the various cloud providers in the industry. With this sale to IBM, Verizon just won’t be hosting applications on its cloud infrastructure, which it gained by acquiring Terramark in 2011 for $1.4bn. This news with IBM follows the earlier announcement where Equinix announced it would pay $3.6bn for Verizon’s 29 datacenter locations. Verizon had ambitions of moving into the cloud back in 2011 when it acquired Terremark. The acquisition by IBM is expected to close later this year. It appears Verizon never reached the scale to compete with other infrastructure cloud providers like Amazon, IBM and Microsoft. With this move, IBM bolsters its position in the private cloud and managed hosting space to help them better compete. First American is a proud channel partner of E-MetroTel telephony solutions. E-MetroTel, headquartered in Plano Texas, is a cost effective telephony and contact center solution targeted at the small and mid-enterprise market. Perfect for companies with up to 5,000 users. Perfect for companies that have legacy systems like Nortel who what to save money by replacing the core but reuse the handsets. Perfect for companies who want a hosted “Cloud” solution where they pay for what they use on a subscription basis! Conference Bridge Host your own on-demand conference calls for both internal and external attendees, with all the features like conference recording and add or remove participants. 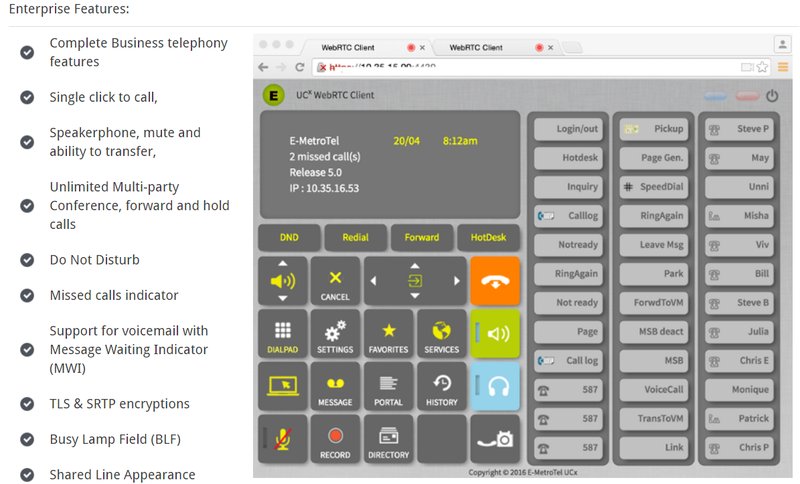 It includes: Password-Protected Conference Bridges, Third-party dial-in through DID, Participant Management & Conference Recording. IVR Interactive Voice Response offers several options to help ensure that your callers don’t get confused and trapped. Within each IVR, you can choose whether or not to allow your callers to dial an extension at any time. This is useful for creating different kinds of IVR experiences. Play a sound to the caller, then continue to the next action. This is for greetings, prompts, instructions, etc. Use the Sound Manager to record whatever sounds you want. If your company is looking for a new, feature rich, telephony product that is easy on your budget E-MetroTel likely has what you are looking for. Interesting that Toshiba did not try to sell their Telecommunications division but simply decided to shut it down. As the premise PBX market continues to shrink and as the Cloud telephony business ramps up, maybe there were just no buyers for the smaller players? Founded in 1975, Toshiba Telecommunication Systems Division (TSD) was a division of Toshiba America Information Systems Inc. (TAIS) – a subsidiary of Toshiba Corporation. Headquartered in Irvine, California, TSD is a manufacturer of IP business telephone systems, designed for small to medium-sized businesses and larger enterprises with multiple locations. Its ‘Strata CIX IP’ business telephone systems and related applications are sold by a network of Authorized Toshiba Dealers throughout the United States and Latin America. Dealers were informed via letter on March 21, 2017 that “Toshiba Corporation has deemed it necessary to wind-down its Telecommunication Systems Division (TSD) business starting immediately.” Toshiba has decided to shut down its Telecommunication System Division (TSD) and associated hosting platform services. “As part of its continuing global restructuring, Toshiba Corporate has deemed it necessary to wind-down our Telecommunication Systems Division (TSD) business starting immediately. Toshiba sales have been declining for some time and the company has become far less visible and innovative than many of its competitors. Toshiba made an excellent PBX that competed with small business systems from the likes of Panasonic, Mitel, and NEC. Toshiba Canada also will be announcing the wind-down of its telecommunications business, and TSD will no longer be selling in Mexico. TSD vowed to support dealers in all warranty and maintenance obligations to customers. It is a surprise that a once dominate market continues to see contraction. In November 2016, BroadSoft announced it surpassed 15 million cloud UC lines deployed globally, – an industry leading milestone three times greater than the next nearest competitor. 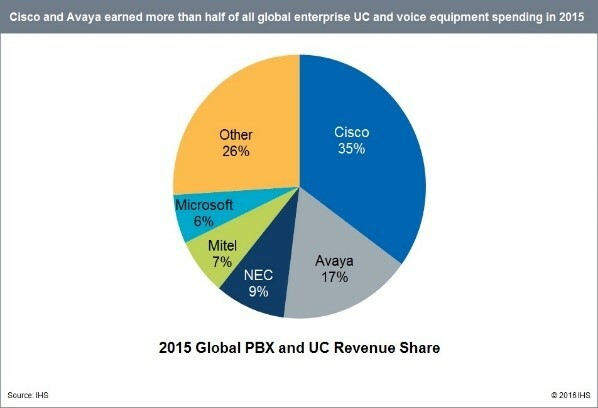 At the same time, BroadSoft market share for new cloud UC line shipments is double that of the next closest competitor, a key trend as BroadSoft expects the market for new cloud PBX/unified communications will surpass on-premise PBX/UC equipment shipments by 2020. Check out how the things have changed in the Enterprise PBX landscape over the past 10 years. In 2006 Avaya plus Nortel had 38% of the entire market. Avaya, 10 years later, and after purchasing Nortel’s Enterprise group, is down to 17%! But this doesn’t tell the whole story. Companies are now moving to the Cloud and UCaaS. Check out our next Blog Post. The world’s top cloud providers made $11.2 billion in revenue selling raw compute and storage power as virtual services in 2015, according to a report by Structure Research. It forecasts that collectively this group will reach more than $120 billion in revenue in 2020, growing the market more than 10-fold in just five years. Based on estimates from both Gartner and Structure Research a bigger and bigger piece of the IaaS cloud pie will be taken by the biggest players in the space. Aggressive cloud market growth forecasts are good news for the largest wholesale data center service providers, who have been unable to build data center space in key markets quickly enough to keep up with demand for capacity from the top cloud providers. The report takes a narrow scope, focusing on pure Infrastructure-as-a-Service and looking at seven companies Structure Research considers to be raking in the most revenue from IaaS. This is revenue only… not profit which is harder to obtain. The largest cloud provider by far is Amazon Web Services, which by Structure’s estimate made $7.88 billion in revenue from IaaS last year. The company currently holds just over 70 percent of the market. 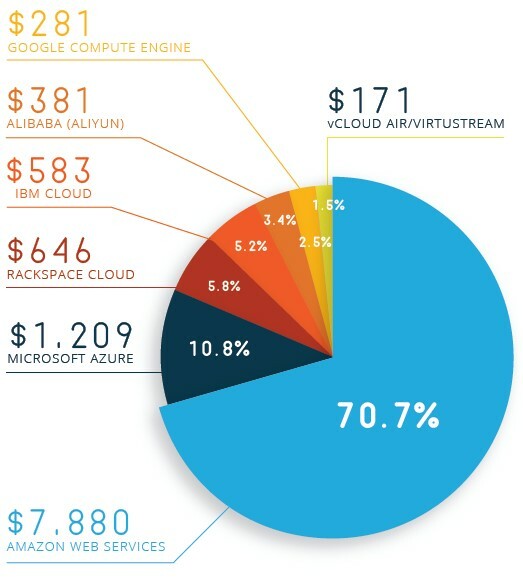 Microsoft is a distant second with close to 11 percent of the market and $1.2 billion in IaaS revenue. admin /wp-content/uploads/2017/05/Logo-e1494168890244.png admin2016-11-14 23:18:092018-04-07 21:52:05Who is playing in the Clouds? Genesys Telecommunications Laboratories Inc., the maker of call-center software, has agreed to buy Interactive Intelligence Group Inc. in a deal valued at about $1.4 billion. Genesys will pay Interactive Intelligence holders $60.50 a share in cash, the companies said in a statement Wednesday. That represents a 36 percent premium to Interactive Intelligence’s price on July 28, before media reported that the company was exploring strategic alternatives, the companies said. It’s 6.8 percent above Tuesday’s closing price. The deal will give Daly City, California-based Genesys access to Interactive Intelligence’s cloud-based software, which is designed to help call centers improve the customer experience. In recent years, the old 1-800 model has been giving way to services that don’t simply provide support but also follow people as they browse the web, arming companies with data they can use to sell more products and services. Tillman also said that Interactive Intelligence’s ongoing shift to a “pure cloud” play could have been difficult if it remained public. By selling itself to Genesys, which is private, the company can sidestep Wall Street skepticism. Genesys, which received a $900 million investment last month from private equity firm Hellman & Friedman, is looking to use the recent infusion to expand its business, people familiar with the matter said this month. The company also is considering acquiring Avaya Inc.’s call centers, one of the people said at the time. The deal, which is expected to close by year-end, is being funded through a combination of cash and debt financing, provided by Bank of America Corp., Citigroup Inc., Goldman Sachs Group Inc. and Royal Bank of Canada, the companies said in the statement. Those banks are also serving as financial advisers to Genesys. Union Square Advisors LLC advised Interactive Intelligence. It’s an encouraging sign of progression when a company moves to an IP-PBX (private branch exchange) business phone system. The big question it has to ask itself then is whether to host the PBX solution on its own premises or leave it in the hands of the service provider. There are strong arguments for either option; it’s generally a case of which one is best suited to a particular company. Irish Telecom created the infographic below that compares on-site PBX and hosted PBX side by side using a variety of key criteria. If you are a manager who likes to have full control over every aspect of the business, and if you have an abundance of resources, hosting the solution yourself is usually the better choice. You can tailor the solution exactly the way you want it and expand it in accordance with your company’s growth. It is also cheaper to manage on-site PBX on an ongoing basis. However, hosted PBX is more advisable if you’re in charge of a small business, or if the business is in a transitional period. Leaving it up to your service provider will clear one task off your shoulders and allow you to concentrate more on other aspects of managing the business. Also, the service provider will have access to resources that you wouldn’t, while setup costs for hosted PBX are much lower than if you managed the solution yourself. Before making a decision, weigh up all the pros and cons of each option and apply those arguments to where your company is at. This infographic is intended to be a fair, objective comparison between on-site PBX and hosted PBX by making several clear distinctions between the two options. Take a look below. /wp-content/uploads/2017/05/Logo-e1494168890244.png 0 0 admin /wp-content/uploads/2017/05/Logo-e1494168890244.png admin2016-08-29 12:03:272018-04-07 21:52:05Infographic: Hosted PBX or On-Site?